A brilliantly original take on the First World War, tracing the Indian army’s journey from a small professional service to a crucial part of the conflict. A brilliantly original history of the First World War, re-tracing the footsteps of the Indian Army’s 1.5 million men who in 1914-18 served about the globe from Europe to Africa, Asia and the Indian Ocean. 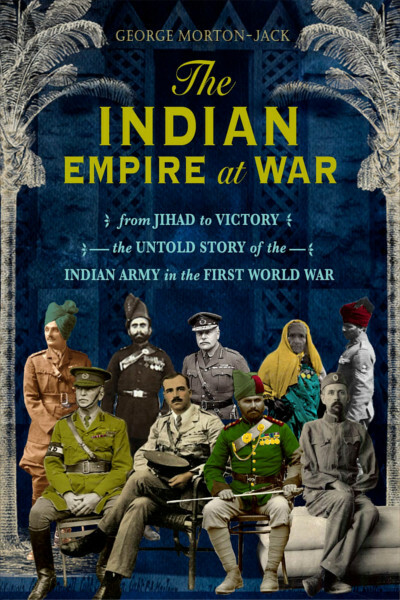 After years of neglect, The Indian Empire at War raises the curtain on the Indian soldiers’ personal experiences fighting for the Allies against the Central Powers, and returning home to play their part in the Indian Independence movement. George Morton-Jack studied history at Oxford University and wrote his first book for Cambridge University Press. He has travelled widely in Asia and Africa, visiting several of the far-flung corners where the Indian soldiers served, from China and Tibet to Kenya and Tanzania. He currently lives in London.